This 2007 GMC Yukon XL has plenty of space with seating for 8 passengers! Coated in Steel Gray Metallic and paired with dark gray leather to match the aftermarket wheels, this vehicle is absolutely beautiful. Equipped with a strong V8 engine, a tow hitch, roof rack, navigation, a dvd player, and ample cargo room, this SUV is perfect for road trips. With features including leather, heated seats and power seats with driver memory settings, even daily drives will be ridden in luxury. This GMC Yukon has recently undergone a thorough 130pt inspection including a NC State inspection and has a Carfax showing it was kept primarily in the South. To schedule a test drive, contact John at Lake Norman Auto Exchange. All Lake Norman Auto Exchange vehicles come with a complimentary 3 Month/3k mile limited powertrain warranty and undergo a thorough 120 Point Service Inspection. 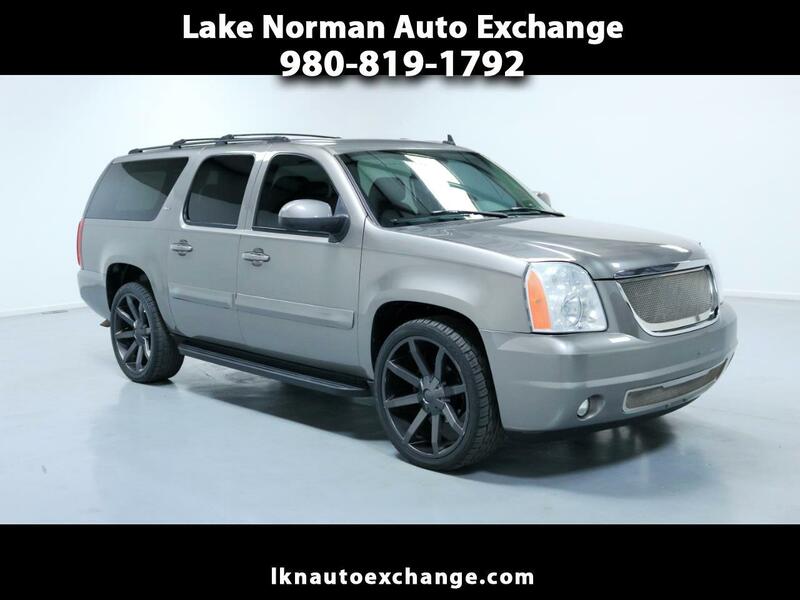 Visit Lake Norman Auto Exchange online at lknautoexchange.com to see more pictures of this vehicle or call us at 980-819-1792 today to schedule your test drive.